We recently had the chance to review Zylie the Bear. 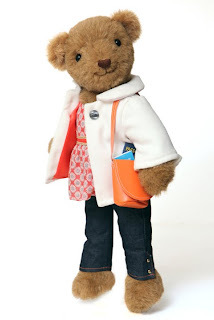 "Meet Zylie, the fun new teddy bear that's designed to be dressed and played with like a doll! She comes complete with her signature outfit, accessories, and the first book in her adventure series! First book in the Zylie adventure series included!" What we thought: Both A and D loved Zylie:) Since we got this package in the mail, Zylie hasn't left 4 year old A's side. A loves writing in the mini diary and pretending she is travelling the world with her new sidekick. Zylie's clothes are cute and stylish and easy enough for A to take off and put on which is important for independent play. A has lots of dolls, but she has really taken much more of an interest in dressing up, playing with and just hanging out with Zylie. She is smitten for sure:) No more stuffing her poor stuffed animals into tiny baby doll clothes:) It is no wonder why Zylie has won so many awards! She is truly an awesome bear! Zylie would make a great gift for the child in your life who loves stuffed animals:) ABCD Diaries gives Zylie the Bear an A+! Buy It: Find Zylie, her friend Shen and extended wardrobes for both at Zylie the Bear!! 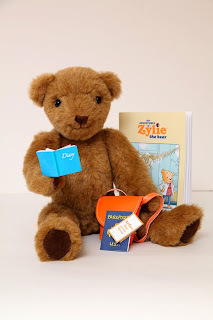 Win It: One ABCD Diaries reader will win their very on Zylie the Bear!! To enter, sign up to follow our blog via GFC and comment below. Disclosure: ABCD Diaries was given a bear for review purposes only. We were in no other way compensated. The opinions expressed in this post are ours and ours alone. I follow your blog thru GFC and I love your reviews! I follow on GFC (Steph). My daughter would love this! Thanks for the great giveaway, she is so adorable! These bears are a little girl's dream. And I follow via GFC. Signed up For Zylie's Newsletter! Entered Box of Thai & Asian Food! I'd love to win this for my niece Kassidy. She would love this! I follow you on Facebook under Lisa Berkery. I follow Zylie the Bear on Facebook under Lisa Berkery. I entered your Lindberg Family Farms Giveaway! I entered your Veggie Patch Giveaway! 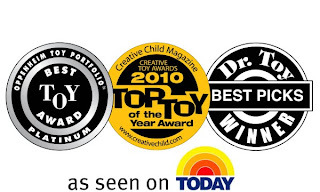 Being someone who loves to travel, I simply love the idea of a toy that helps show children the world. Follow ABCD Diaries on Twitter(tamivol)! Follow Zylie The Bear on Twitter(tamivol)! GFc follower - what a cute bear! !